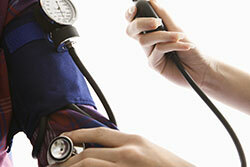 Many of these services can be provided by scheduling an appointment with the nurse (707) 826-3146. The Student Health Center can provide all methods of contraception, including those that are Long Acting and Reversible (LARC) methods. A Registered Nurse will discuss the various contraceptive options with you and help you determine and obtain the best method for you. To get the most out of your appointment, please review the information on the various methods prior to your visit. Need more information about birth control? To schedule a nursing consult, call (707) 826-3146.